Erik Wolf: Hello and welcome to The Denver Executive Association trusted advisor podcast. Twice a month about 30 of Denver’s smartest business leaders gather over breakfast in a beautiful meeting space overlooking Magness Arena at Denver University. We share our knowledge, we share our connections, and we do business together. And twice a month, we talk to DEA members on this podcast and we post them for the world at Denverexecutiveassociation.com My name is Erik Wolf and I’m with the digital marketing agency estound. We serve small and midsize business owners in Denver and around the world with website design and development, search engine optimization, pay-per-click advertising, marketing automation and more. My guest today is Troy Sibelius, Executive Vice President for the Buckner company. He is a business insurance expert. 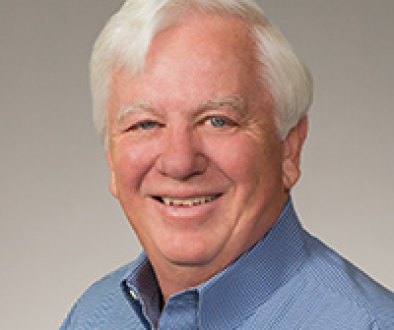 He maintains a certified insurance counselor and certified risk manager designation from the National Alliance and he has vast experience with all kinds of commercial and personal insurance. 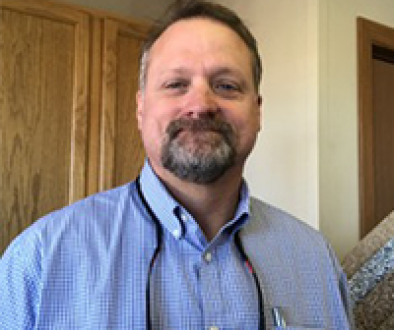 Troy and his team of experts at Buckner work with a large client base and a variety of different industries including trucking, manufacturing, and construction. Welcome, Troy. Troy Sibelius: Hello. How are you doing? Erik Wolf: Good. To start with, can you tell us a little bit about what you do at the Buckner Company. 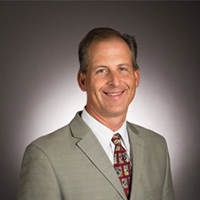 Troy Sibelius: Yeah at the Buckner Company, I am a commercial insurance broker and we have thousands of clients primarily in Colorado and Utah, and around the country. We primarily focus on commercial insurance products for just about every kind of business you can think of. As you mentioned earlier, we do a lot in the trucking and transportation, manufacturing, distribution, and construction area. We also have a very large number of clients that are in the habitation arena including apartments and condominiums. And we look at every kind of insurance they need, whether it’s property insurance, general liability insurance, worker’s compensation and commercial auto, inland Marine coverage for contractors and their equipment, you name it, we have markets out there that we work with. Erik Wolf: How did you get started in the insurance business? Troy Sibelius: So I originally started, I have a degree in landscape architecture. Erik Wolf: So, right there in the industry. Troy Sibelius: Well, not in the industry at all. But what I have done now is I’ve taken a lot of my experience in that and a lot of my client bases with Landscape Contractors and landscape architects all around the country. So a lot of that industry has a lot of clients in those industries. But, I was a landscape architect, I was doing that for about five years once I graduated with a degree in landscape architecture and I was thinking about switching design firms. I was talking to my parents about it and my dad was in the insurance business and he told me that it’s always been sort of one of his dreams for one of his kids to get into the business. He said, “Would you consider going into insurance?” And I thought, well, you know, one of the things that I really liked about the design piece was presenting my ideas and my concepts for my designs to a jury basically, a design jury. So it’s basically sales and I thought, I had a lot of conversation about it and decided to go into the insurance business and try it out for two years. And if it doesn’t work out, I can always go back to landscape architecture. Now it’s been a 23-year career and I’ve never left. So that’s kind of how I got into it. Erik Wolf: That’s pretty cool and then you built your business on your contacts in the landscape business. Troy Sibelius: Yes I originally started out with the landscape architecture firms which are basically the design firms. And because I knew that industry well and I knew that there was a need out there a lot of insurance brokers, a lot of people don’t understand what landscape architects do. I was able to bring in the insurance piece and get a lot of the landscape architecture firms set up with underwriters that understood or that I educated them on the business on and we basically found a really good carrier that recognized them just like they would an architecture firm, which is what they are, and started writing a lot of those types of risks all around the country. And so that’s been a good little niche. The problem is that a lot of them are really small. So you have to write a zillion of them to make it really profitable. Troy Sibelius: So then I’ve transitioned now into more of the Landscape Contractors, which have higher premiums typically and just focusing primarily on those in Colorado. Erik Wolf: That’s actually a really interesting way to bridge one career with the next. Troy Sibelius: Well it’s interesting. I think a lot of successful commercial insurance producers do that. They’ve had a career or some sort of a path in another industry that they know really well and then they can bring that into the insurance side of it and go after those types of clients because they understand their business. Erik Wolf: So insurance is one of these things that, unfortunately, folks tend to see as very commoditized. We’ve got the lizard and we’ve got the talking box and everybody is sort of the same and of course, in business, a lot of folks don’t know where to start. So what truly in an industry that is so known for being commoditized, what makes you and your company different? What helps you set yourselves apart. Troy Sibelius: Yeah that’s a great question and I think that when you talk about Geico, American Family, State Farm, some of those groups which are great companies and they definitely serve a need for certain types of you know insurance needs that people have. One of the things and not necessarily just with Buckner, but one of the things that I think makes us stand out, is that we’re independent agents. So I don’t work just for Geico, or just for State Farm. I work for my client and basically what I tell people is I don’t sell insurance. I help you buy insurance. So I will go out there as your broker and help you identify a number of different carriers and it’s all going to depend on the kind of business that you’re in. We might have 3 insurance carriers that are very very strong at the type of industry that the client might be in. Or we might have 10 insurance carriers that really want to rate that kind of business. Like you could have a very significant difference between a residential contractor or a residential electrician versus a commercial electrician. We have some really serious differences here in Colorado with construction defect problems. If you’re on the residential side and you’re doing new residential work, there is a very limited number of carriers out there because of the construction defect problems. So we help analyze your risk and then we basically go out and take your risk out to the underwriters and try to find the best carrier that fits your needs as a business owner. Obviously, pricing, the premium, the annual premium and that’s where you’re talking about the commoditization of insurance. We understand that premium is always, always going to be one of your top factors. So it’s just an automatic that we have to take that into effect or into consideration but we also need to take into consideration what other coverages are out there that you need, how do we customize a policy to best fit what you’re doing as your business and cover from a risk management perspective. Erik Wolf: What is the best balance between the risk and the premium and trying to figure that out. Troy Sibelius: Right, exactly. So we’ll basically bring together typically a comparison of coverages and say, “Hey here’s carrier A, B, and C. Here’s what this one offers here’s what B offers, here’s what C offers. Let’s look at them and determine what best fits your needs as a business owner. Erik Wolf: So a type of insurance that I really wasn’t all that aware of but I heard you talk about it at length today during your presentation at the DEA was cybersecurity insurance. So would you be able to give me two or three short examples of ways that having cybersecurity insurance can help the business? Erik Wolf: PR services, media relations and things like that. Troy Sibelius: To your customers saying, “Hey we’re really sorry this happened. Here’s what we’re doing to protect you.” And that can be a pretty substantial cost and most people don’t realize that part of a cyber breach. So that’s probably the largest example. The other the other type of coverage that has been very popular and typically is involved in reliability coverage is the ransomware, where somebody gets their system locked up and they now have to pay money to unlock their system. That’s a significant issue right now. This wasn’t one of our clients but there was a serious situation, just an example of where this is going. There was a very large hotel somewhere in Europe, like 500 bedroom hotel. They hacked into their hotel network and they locked all of the key card access doors to all of the rooms. So none of the hotel guests could get into their rooms, which was a pretty serious situation. And these doors didn’t have, they didn’t think about it at the time and now from a risk management standpoint they’re doing it, where they probably have a master actual physical key lock that they can still use if they need to. But they didn’t have it at the time so these people were literally locked out of their rooms until they got the ransom determined. So who knows where this Ransomware is going to go and what these cyber attackers are going to go after next. But that’s a cost that if you have the proper cyber liability coverage it could help pay for those types of claims. The other issue is just electronic or fraudulent funds transfer. Lots of different fake e-mail situations, somebody hacking into somebody’s system and getting control of a bank routing number or check routing number or something like that where they start transferring money to a different bank account. We also had a client that had a situation where somebody was able to get a username and password in a system that they used to pay vendors and it’s a system that they typically use a couple of times per week and the charges are usually less than a thousand dollars per situation. Somebody knew the rules of the system, what red flags were in there. They basically started charging like $800 dollars here and $600 dollars there and before they knew it after 30 days, they were out about $40,000 dollars in charges. And it was something that they had insurance for and got it covered, but it was a perfect example of how that cyber liability coverage is so important. Erik Wolf: Wow. I guess that’s the world that we’re living in now where these things are possible and these things can actually happen to you and it doesn’t matter how big your business is, it doesn’t matter. Troy Sibelius: No and they’re saying that in many cases a lot of the small businesses that are impacted there’s a significant, and I don’t remember the percentage, but a significant number of these small businesses that a lot of times cannot recover from some of these losses if they don’t have the proper protections in place and they go out of business. So it’s really important. Erik Wolf: Can you give us a like a hero story, somewhere where you’re super insurance powers came to the rescue and really helped somebody out of a tight spot. Can you give us an example of that? Troy Sibelius: Yeah I actually have a situation right now that’s going on with one of our DEA members who referred me to one of his clients. And it’s a small textile manufacturing business and his client is actually purchasing an existing company and the new owner is not based in Colorado. She’s based out of Indiana and they’re planning on closing on the purchase of this business within the next week. And we literally got a call less than a week ago and they’re in dire need. They’ve been trying to work with an agent back in Indiana who doesn’t understand the insurance marketplace here in Colorado and doesn’t have as many insurance carriers as we have at the Buckner company. And that’s one thing I talk about too. That makes us a little bit different from a carrier or agency standpoint. So they called us saying we need coverage. They gave us basically three proposals that they had received from another agent out of Indiana. And to me, they seemed pretty high priced and I couldn’t figure out why. So we were able to go back and determine who the current carrier is that’s providing coverage for the existing business and we have a contract with that carrier. And so at this point in time, we’re trying to go back after that same carrier and say, “Hey you guys write the business insurance for the business now, why can’t you write it again for this new owner?” Potentially we could save them, our insurance premiums will probably come in about at least 25% lower than what the other agent has been proposing to them, this out of state agent, and we’re probably going to be providing the same if not better coverages for this client. So it’s a perfect situation where because of the access to the different markets that we have and the understanding of what we have, what are insurance carriers will write and what they won’t write. Also just understanding so many different types of industries and what their exposures are, we can really help somebody analyze their exposures pretty quickly and then immediately go out and say hey we have five great carriers that I can go to and I can get quotes for you, coverage comparisons and stuff set up for you pretty quickly. Our turnaround time can be really quick if we need to. So I think that’s something where we potentially are going to be a hero for this client because they know they’ll have a local representative for their company here in Colorado and we were able to get them something that’s very competitive with really good coverage. I think also the part for me that I think I do a really good job at is I really try to focus on educating my client on what some of these insurance coverages are from a layman’s standpoint. I mean we can start throwing all kinds of terms out there from an insurance terminology standpoint and most company owners out there and be like I have no idea what you’re talking about. So over my 23 years of experience, I’ve really tried to focus on ways that I can explain coverages in a situation where maybe it’s through using a claims scenario or an example or trying to get away from the insurance jargon and really trying to explain it in a way that people can understand it. I always take that into account even when I am working with a new prospect, a new customer. I’m always trying to look at ways that I can explain it to them so they understand it and not just baffle them. Erik Wolf: Well and of course 25% of something, that doesn’t really need an explanation. Everybody understands that kind of savings and I imagine, you mentioned that it was a manufacturing operation, I imagine that all of the various insurances and liabilities and risks and that sort of operation, that’s probably a very significant number. Troy Sibelius: Yeah. In this particular situation, the item they’re manufacturing, it’s not a very volatile type of product. They’re basically manufacturing handbags. So it’s not like it’s really high profile. You know we could get into a company that’s manufacturing child products, like kids furniture or kids products. Gun-related items, where you’re going into product liability issues, that can be really really serious and take a lot more serious underwriting and all those carriers that will write it. So in this case, there’s a lot of insurance carriers out there that are willing to write manufacturing for that type of a product. It’s a cloth textile manufacturing process so this one wasn’t too crazy but we are running into some issues now with the age of their building, which is a huge part of the underwriting piece that we’re having to try and work through. It’s an older building. So those are the things where I can also assist with my years of experience as I know a lot of the questions to ask upfront so that we can kind of get through some of those dilemmas with the underwriters. One of the things, I know one of your questions was what is it about our business that a lot of people don’t understand or realize that we do. And I think one of the hardest parts of my businesses is that if somebody comes to me with a risk I have to sell it twice. I have to sell the product to my client, once I find an insurance carrier but I think more importantly the hard part is selling my clients exposure to my underwriters. I mean it’s my job to basically do the best that I can to understand your risk as thoroughly as possible from an insurance standpoint so that I can turn around and make it look really pretty for an underwriter so that they understand what they’re going to be writing the insurance for and they know what all of the exposures are. So sometimes that’s the hardest piece. I mean there are lots of times where I can find a client or a prospect willing to do insurance with us if we can find the right product for them, the right coverages, the right pricing, within reason obviously, they would be happy to have our work as their insurance broker. So my part then is I have to go and try to sell it to the insurance carriers and get them to write it and write it the way that we think it should be written. A lot of times that’s the hardest piece and a lot of people don’t realize that that’s where our expertise comes in, in terms of helping them get the proper insurance protections and program in place. A lot of times we have underwriters that we work with, I mean most cases we have underwriters that we work with for years so they know when we bring them a piece of business to look at, they know that we’re going to give them a professional submission, that we’ve gone through and asked all of the right questions, that we’re really giving them all of the exposures that they need to be aware of. And I think that really helps because we have established a lot of credibility with them to know that we’re not just bringing them some risk that we’ve just kind of thrown together the information. Erik Wolf: I didn’t know that that was actually part of the process so that’s pretty neat. Troy Sibelius: And that’s the other thing, you mentioned Geico earlier or some of those markets and that’s the beauty of working with an independent broker is that, unfortunately, like American Family, and I mean like I say American Family’s a great company. But if you’re working with an American Family agent and you have a problem with American Family’s insurance, let’s say a claim isn’t paid or they all of a sudden decide they don’t want to write that kind of business anymore, that American Family agent basically just has to tell you, “Sorry I can’t help you anymore.” Whereas with us as an independent broker or because I work for the client I don’t work for any one insurance carrier. I can then take that information out and go out and market it out to five other carriers to help get it replaced. Erik Wolf: So this is the trusted advisor podcast and we pride ourselves at the DEA of being trusted advisors. So I’m going to ask you to put on your trusted advisor hat for a second and let’s say that I was somebody who was looking for a commercial insurance policy. What’s one tip that you would give me or someone else who’s looking for help with insurance? Something that maybe they’re not thinking about. Troy Sibelius: Yeah that’s a good question and I think, like I just mentioned before, is that I think it’s critical to find a good professional independent agent that has access to a lot of different insurance carriers, that’s been in the business for a number of years, that understands the market, understands what the trends are, what some of the exposures are. And I think that it’s also just somebody that you know and when people work with us, our world is basically based on the relationship. I mean we’re selling you a piece of paper which is a contract that says that if you have an accident, we’re going to pay, the carrier is going to pay for the claim. I’m not selling you like the fanciest car or the best product out there that you can take home and enjoy. It’s basically a contract. So the critical piece for us is that trusted relationship between my client and myself knowing that when we have open and honest and professional conversation with our customers, that they feel comfortable that we’re telling them the truth. And I think that’s one of the most critical pieces on finding, whether it’s me or another independent agent, somebody out there that you really are comfortable with and knows that they’re telling you what’s going on. Erik Wolf: Awesome thanks so much and thanks for joining us, Troy. We really appreciate your time. And thanks for listening to the DEA trusted advisor podcast. We’ll see you next time.